After an impressive performance in the long distance race on Saturday, Fiona (Starboard & Werner Paddles) didn’t want to miss out on the opportunity to compete alongside the men in the Open Surf exhibition, which she did and as always, made her presence felt. However, it was then back to business as she took on the gruelling sprint course at Ho’okipa, and in the first round, had gained a significant lead when she came up against one of the bigger sets of the day that just flattened her. This allowed her competitors to take advantage of the situation as she was left playing catch up. That she did, as an emotional win saw her take the sprint, long distance and overall victories as well as the 2016 World Championship Title! A big congratulations go out to this worthy Champion as she continues to assert herself across all aspects of the sport. It is hard to believe that Annie Reickert (Naish) is still only 15 years old and it is somewhat reminiscent of the rise of Mo Freitas (Focus SUP) a few years back, where we saw this young kid capable of taking down the greats develop into one of the sport’s leading figures. There is no difference with the rise of Annie Reickert, as at just 15 years old she has already proved herself a force to be reckoned with in the surfing side of the sport. 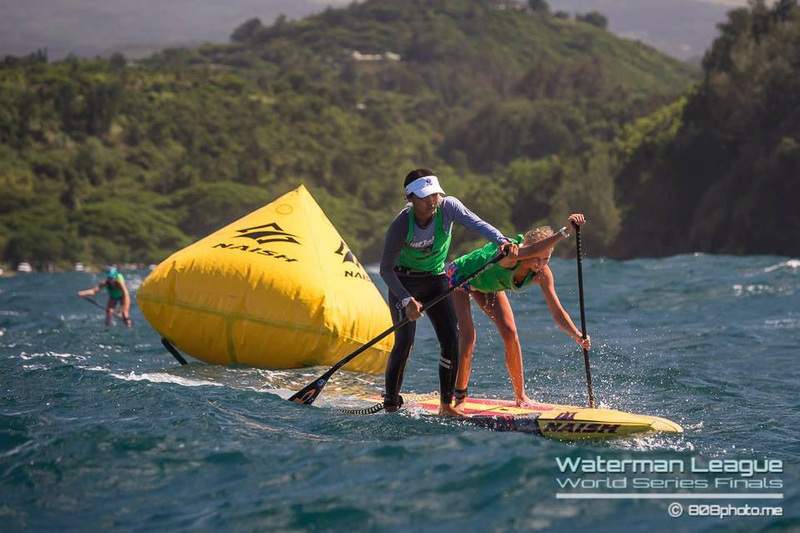 This weekend just confirmed her skills and competitive ability are not restricted to surfing, with an impressive 2nd place finish in both the downwind race from Maliko to Kanaha as well as the World Series Sprints. Annie performed with poise and professionalism throughout the event, maintaining her composure under pressure and making it happen when it counted the most. In the sprint racing in particular, she certainly rattled Fiona Wylde (Starboard) in Round 1 by taking the win, only to back it up with an impressive 2nd place in ROund 3 and solidifying her second place overall for the sprints. 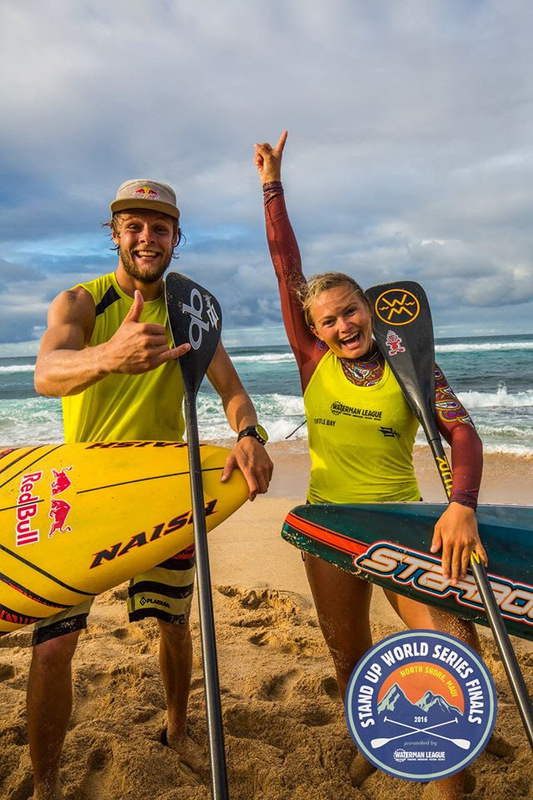 Talia Decoite (previously Gangini), has been immersed in the paddling world for most of her life, with her Dad being an avid prone paddler and talented surfer and now being married to big wave surfer Nakoa Decoite. However heritage or not, Talia has proved that she does have what it takes, finishing in 3rd in the downwind race from Maliko to Kanaha and then putting on a solid performance in the hectic Sprint Racing to take the win in the 2nd round, and 3rd overall. Being born and raised on Maui, it certainly helps Talia to understand the conditions and use them to her advantage. 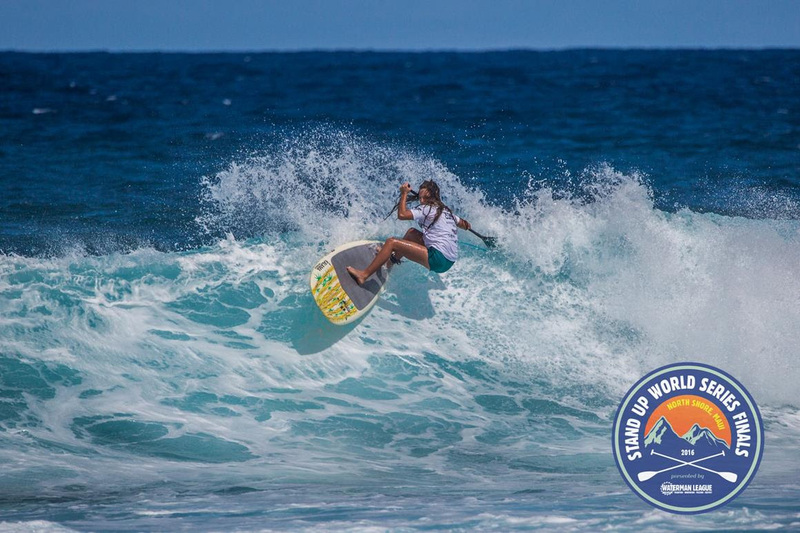 This was abundantly clear over the weekend as she put on solid performances across both forms of racing and will be a name to watch out for next year, particularly in her backyard on the island of Maui. The Na Kama Kai Youth Challenge has been one of our favorite parts of building this World Championship platform, as we have witnessed the rise of an unprecedented level of talent in all four corners of the world. 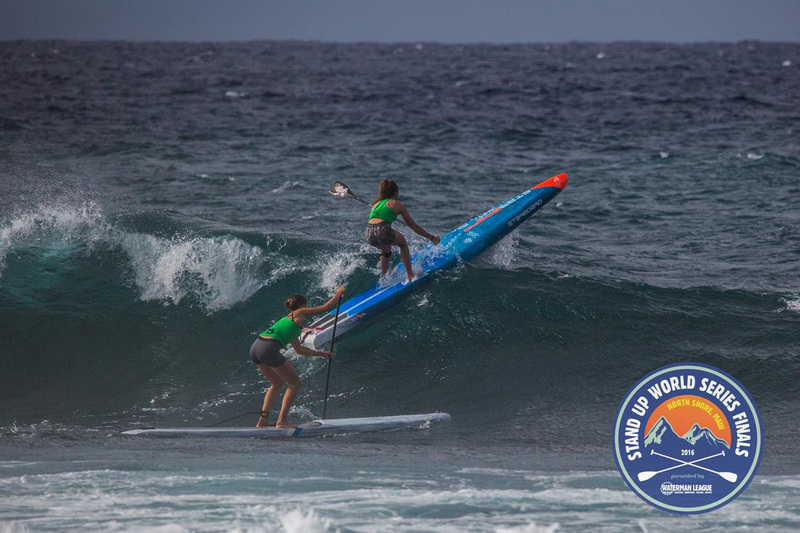 This year’s Na Kama Kai Challenge on Maui was no different, as we saw the U12 division putting on incredibly impressive performances, with Cash Brezola taking the win ahead of Kai Claydon and Marley Franco. In the meantime, the biggest breakthrough of the day was the ever impressive Skylar Lickle who put on a memorable performance in the U16 Open division to take the win over the boys. With critical turns performed on the best waves, it was impossible for the judges not to award the victory to Skylar. Other standouts were of course the ever impressive Spencer brothers (Jeffrey and Finn), with Jeffrey making it all the way through to the Consolation final of the World Series Sprints at just 15 years old! Stay tuned for our growing infrastructure for this rapidly developing youth component of the sport at watermanleague.com and go to nakamakai.org to find out how you can support this worthy organization in its quest to provide meaningful education and mentorship to the future of the sport. A big thank you to Duane DeSoto and his crew for all that they do. 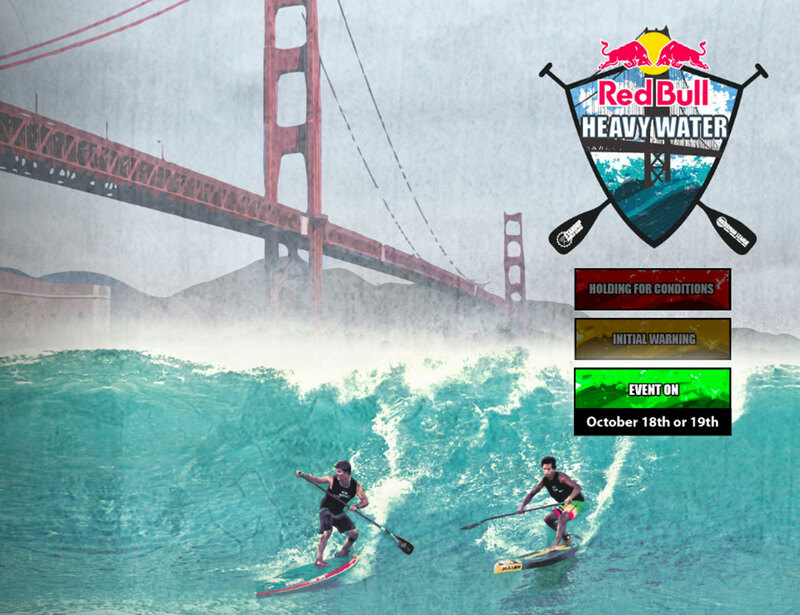 It’s now time to head to San Francisco in the morning for what promises to be the most dramatic and challenging race yet, as a small selection of the World’s best will step up to do battle at San Francisco’s notorious Ocean Beach.